“Arachne or Dialectics” by Paolo Veronese. 1520. In Greek Mythology, Arachne was a Lydian woman, the daughter of a famous Tyrian purple wool dyer, who was highly gifted in the art of weaving. Soon news of Arachne’s artistry spread far and wide and it is said that nymphs from the forests left their frolicking and gathered around Arachne to watch her weave. All this adulation was more than Arachne could handle and being an ordinary mortal who was quite vulnerable to human failings, she became quite arrogant about her superior skills. She was annoyed at being regarded as a pupil of Athena, the Goddess of Wisdom, and began bragging about her skills, proclaiming herself to be far more superior to even Athena. “Athena and Arachne” by Antonio Tempesta. 1599. Athena took offense and set up a contest between them. Presenting herself as an old woman. When they finally met, Athena cast aside her disguise and revealed her true identity to the prideful maiden. “Now we shall see who is the better craftsman, for I challenge you to a contest of skill. The winner shall be honored, while the loser concurs to weave no more”, the goddess declared and took her place before the loom. Athena gracefully entwined the colorful threads into a prophetic scene depicting mortals being duly punished for their defamatory actions against the gods. For her offering, Arachne chose to create a tapestry detailing some of the more scandalous moments in the lives of the Olympians. Arachne’s work of art, according to the Latin narrative, featured twenty-one scenes of the various misdemeanors of the mighty gods, including Zeus, Poseidon, Apollo, Dionysus and others. Although Arachne had shown little respect for the gods by choosing a subject that made a mockery of the supreme deities of the Olympus, even Athena had to admit that her work was brilliant and flawless. Athena was infuriated by the mortal’s pride. In a final moment of anger, she destroyed Arachne’s tapestry. Image from Giovanni Boccaccio’s “De mulieribus claris”. 1474. Unable to cope with her feelings, Arachne decided to hang herself. Athena stepped in and saved her from that death; but, angry still, pronounced another doom: “Although I grant you life, most wicked one, your fate shall be to dangle on a cord, and your posterity forever shall take your example, that your punishment may last forever!”. Even as she spoke, before withdrawing from her victim’s sight, she sprinkled her with extract of herbs of Hecate. Ovid tells us in his book “Metamorphoses, that at once all hair fell off, her nose and ears remained not, and her head shrunk rapidly in size, as well as all her body, leaving her diminutive. Her slender fingers gathered to her sides as long thin legs; and all her other parts were fast absorbed in her abdomen, whence she vented a fine thread; and ever since, Arachne, as a spider, weaves her web. After her transformation, Arachne hid from Athena by weaving the rope on which she hanged herself into an intricate web. Arachne depicted as a half-spider half-human in Gustave Doré’s illustration for an 1861 edition of Dante’s Purgatorio. There are many versions of this myth. It may have originated in Lydian mythology; but the myth, briefly mentioned by Virgil in 29 BC, is known from the later Greek mythos after Ovid wrote the poem “Metamorphoses”, between the years AD 2 and 8. This was retold in Dante Alighieri´s depiction as the half-spider Arachne in the 2nd book of his “Divine Comedy”, Purgatorio. In Ovid’s version, it is clear that Arachne’s problem was one of pride or hubris, an exaggerated belief in one’s own abilities. Yet, in other versions the theme is more one of Athena’s envy of a mortal whose skills are at least comparable with her own. Last, but not least, this myth can be interpreted in the light of economic rivalry between the city of Athens and the region of Lydia. Historical and archaeological evidence suggests that, in the second millennium BCE, Lydia was the largest exporter of dyed woolen cloth in the Mediterranean. In this reading of the story, Athena is Athens, while Arachne symbolizes her native Lydia. In many cultures spiders stand as the creators of our universe and world, and also serve as agents of destruction.The spider has symbolized patience and persistence due to its hunting technique of setting webs and waiting for its prey to become ensnared. It is also a symbol of mischief and malice for its toxic venom and the slow death it causes, which is often seen as a curse. For example, in ancient India, it is written that a large spider wove the web that is our universe. She sits at the centre of the web, controlling things via the strings. It is said she will one day devour the web/universe, and spin another in its place. Neith, wears sometimes a shuttle on her head; sometimes a crown. Egyptian mythology tells of the goddess Neith – a spinner and weaver of destiny – and associates her with the spider.She is often depicted with a weaving shuttle in her hand, or a bow and arrows, demonstrating her hunting abilities. Neith shared same attributes than Athena. She was worshiped as a virgin. She was considered the guardian of marriage and women, and was believed to have created the world and humanity on her loom. The symbol depicted often above her head is argued to either be a weaver’s shuttle or crossed arrows. Before being connected to this means of creation, she was believed to have worked with the primordial waters as the source. Egyptian goddess Neith reminds of the Greek Moirae. The Moirae were the three white-robed personifications of Destiny: Clotho, Lachesis and Atropos. These three Goddesses work successively. Clotho spun the thread of life from her distaff onto her spindle. Lachesis measured the thread of life allotted to each person with her measuring rod. And Atropos was the cutter of the thread of life. In Celtic tradition, the spider has strong associations with the Druids. This nature-based religion sees the spider as having three distinct characteristics – the Bard, the Ovate and the Druid. The bard is the artist and weaver of webs. The Ovate is a seer that provides perspective, and the Druid is the teacher of Spider medicine. We are told that Spider created the Ogham, an early Irish alphabet that is often seen on sacred stones in Ireland. Spider Woman, the “Great Weaver” of Native American myth. Spider Woman appears in the mythology of several Native North American tribes, including the Navajo, Keresan, and Hopi. In most cases, she is associated with the emergence of life on earth. She helps humans by teaching them survival skills. Spider Woman also teaches the Navajos the art of weaving. Before weavers sit down at the loom, they often rub their hands in spider webs to absorb the wisdom and skill of Spider Woman. Similar to other traditions in the Americas, the Mayan Ixchel was the weaving goddess whose whirling drop spindle controlled the movement of the universe. In some imagery she is shown holding a spindle and distaff, and in some she is kneeling with a small back strap loom tied to a tree, like other weaver-goddesses, weaving the destiny of the world. Furthermore, an ancient Aztec mural painting of The Great Goddess of Teotihuacan was discovered in the 1940s in Tepantitla, at the site of the pyramids of the Sun and Moon in Mexico. Ancient Aztec mural painting of The Great Goddess of Teotihuacan. The Goddess seem to be related to The Great Spider mythology. Until the 1980s, the painting was thought to be of Tlaloc, the Aztec god of rain and water. The details of the painting suggested a feminine form and there were enough similarities to the North American Spider Woman that it was decided that she was another version of the myth. In the Vedic philosophy of India, the spider is depicted as hiding the ultimate reality with the veils of illusion. The Vedic god Indra is referred to as Śakra in Buddhism, or with the title Devānām Indra. Indra’s net is used as a metaphor for the Buddhist concept of interpenetration, which holds that all phenomena are intimately connected. In a different and yet resembling level, Information technology terms such as the “web spider” and the World Wide Web imply the spider-like connection of information accessed on the Internet. “Minerva and Arachne” by Rene Antoine Houasse. 1706. “The Spinners”, or, “The Fable of Arachne” by Diego Velázquez (1644–48). ” Pallas and Arachne at the loom” , from Ovide Moralise written by Chretien Legouais (vellum), French School. 14th century. “Arachne boasts to Minerva about her weaving and is changed into a spider”, Epitre d’Othea, by Christine of Pisan. Cod. Bodmer 49, 97r (Cologny, Fondation Martin Bodmer). Arachne. l’Ovide moralisé par Thomas Walleys, traduite par Colard Mansion. 1493. “Arachne” by Gustave Doré. Illustration for Dante´s “The Divine Comedy”. 1861. Filage à la quenouille. Boccace – “Le livre des cleres et nobles femmes” – 15th century. 1♦Thank you very much Loli Lopesino and Quimoji Blog for bestowing me with the Best Blog Awards. My Nominees for this award are: 1. Settle in El Paso 2. Doar Verde 3. The Dragon Coach 4. Comically Quirky 5. Wystarczyspojrzec 6. Nail a Post 7. Priyadarshinilovelife. 2♦Thank you very much Arohii from Joie de Vivre and Leire from Leire´s Room for the Versatile Blogger Award. My Nominees for this award are: 1. Prakharbansal 2. 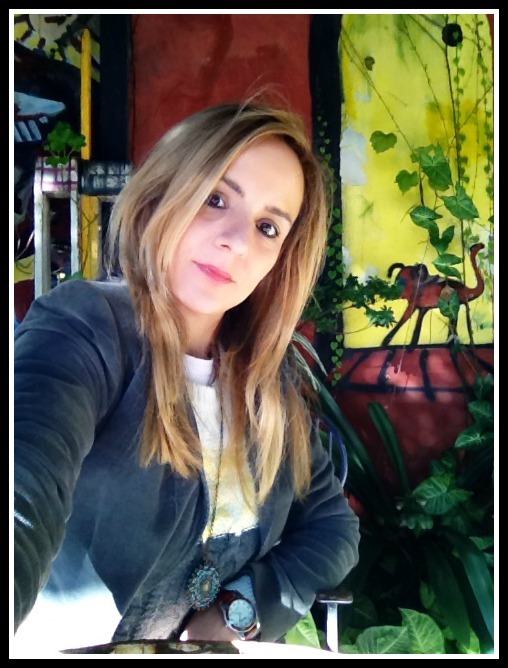 Lola´s Garden 3. Anabarwriter 4. Misty Books 5. Motivepentrucondei 6. Picture this by Frank 7. Versatile Laraib. 3♦Thanks so much Pintowski for the Sunshine Blogger Award. My Nominees for this award are: 1. New Pathways 2. Spirit in Politics 3. Your vacation gurus 4. Charly Karl 5. Snapshots233 6. Marswords 7. Mahdheebah. 4♦Thank you very much Claudia Moss for the One Lovely Blog Award. My Nominees for this award are: 1. Life Less Ordinary 2. The Green Fashion Cafe 3. Claudia Moss 4. Jen Gary New Adventures 5. Breath Math 6. Fotografischewelten 7. Benolsamblog. 5♦Thanks so much Amanpan Blog and Luna Quebrada for thinking of me and bestowing me with the Versatile Blogger Award. My Nominees for this award are: 1. Der komoediant 2. The Mordant Scribe 3. Elle Jase 4. Len Moriarty 5. West Clare Writes 6. Goingplaces2gether 7. Make-up louca por maquiagem. 6♦Thank you very much Inese from Making Memories for the Creative Blogger Award. My Nominees for this award are: 1. Loli Lopesino 2. Quimoji Blog 3. Luna Quebrada 4. Amanpan Blog 5. Juggling Writing a Book 6. Heena Rathore 7. Nerdy Teacher Extraordinaire. 7♦Thanks so much Juggling Writing a Book for the Liebster Award. My Nominees for this award are: 1. Aewnian 2. Scripted Sheet 3. Sometimes Intereseting 4. Simouncino 5. Blog Mexique Rotary 6. Gabriella´s design 7. Mosaic 89. 7´♦ (same logo that ♦4) Thank you very much Tina Frisco for the One Lovely Blog Award. My Nominees for this award are: 1. World Of Truths 2. A Voice Reclaimed 3. Carolina Amundsen 4. Dish Dessert 5. Facets of a Muse 6. Whitney Ibe 7. Rdaignault. 8♦Thanks so much Micheline Walker and Robert Goldstein for the Blogger Recognition Award. My Nominees for this award are: 1. Meiji Zapico 2. Il Motivatore 3. Water Wise Baker 4. Boss in the Middle 5. Shell Ochsner 6. Kreakhaos 7. Cocinaitaly. 9♦Thank you very much Lazy Haze for the Mystery Blogger Award. My Nominees for this award are: 1.Micheline Walker 2. Tina Frisco 3. Robert Goldstein 4. Danicapiche 5. Kentuchy Angel 6. Dainty Joyce 7. 924 Collective. 10♦Thanks so much Danicapiche for the Treasure Trove Award. My Nominees for this award are: 1. Arohii 2. Leire 3. Inese 4. Healing Grief 5. Justified Ectasy 6. Lazy Haze 7. Oaktreelife. 11♦ Quote Challenge: Thanks so much to Inese from Making Memories and Heena Rathore for inviting me to join her in the Three Quotes Challenge. The rules of this challenge are: a. Thank the person who nominated you. b. Post one fresh quotation on three consecutive days. c. On each of the three days, nominate at least one folk to continue the challenge. I nominate for the Three Quote Challenge: 1. Words from a Little Person 2. Rainefairy 3. Moonlight Psychology 4. Devisecreateconcoct 5. Mararomaro 6. Wutherornot. “Life appears to me too short to be spent in nursing animosity or registering wrongs”. Charlotte Brontë. 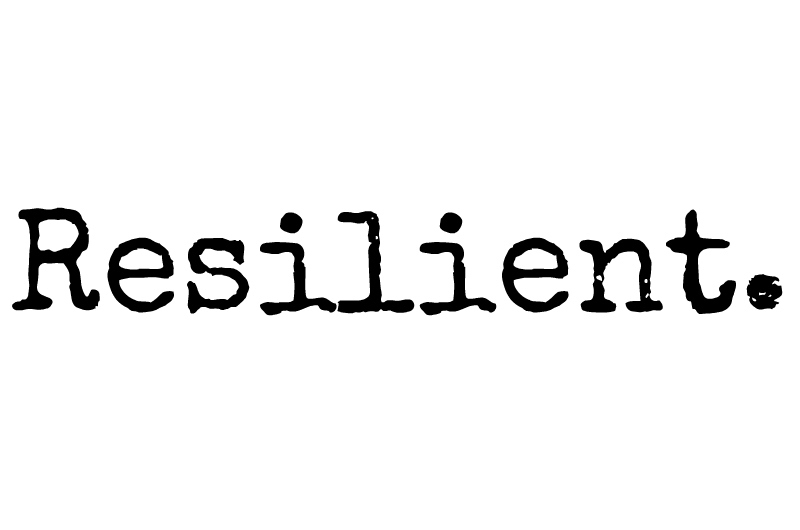 “Life is to be lived, not controlled; and humanity is won by continuing to play in face of certain defeat”. Ralph Ellison. “No man, for any considerable period, can wear one face to himself and another to the multitude, without finally getting bewildered as to which may be the true”. Nathaniel Hawthorne. “We mortals, men and women, devour many a disappointment between breakfast and dinner-time; keep back the tears and look a little pale about the lips, and in answer to inquiries say, “Oh, nothing!” Pride helps; and pride is not a bad thing when it only urges us to hide our hurts— not to hurt others”. George Eliot. “It’s much better to do good in a way that no one knows anything about it”. Leo Tolstoy. “Memories warm you up from the inside. But they also tear you apart”. Haruki Murakami. “Perseus and Andromeda” by Gustave Moreau. 1869. Andromeda was the beautiful daughter of King Cepheus and Queen Cassiopeia of Joppa in Palestine (called Ethiopia). Cassiopeia had offended the Nereids by boasting that Andromeda was more beautiful than they, so in revenge Poseidon sent a sea monster called Cetus to ravage Cepheus’ kingdom as divine punishment. Since only Andromeda’s sacrifice would appease the gods, she was chained to a rock and left to be devoured by the monster. Meanwhile, Perseus had already killed the fearsome Gorgon Medusa . 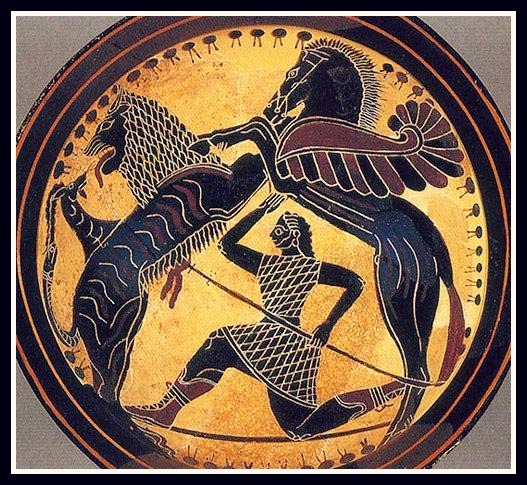 As he was riding the winged horse, Pegasus over Africa in his return home, he encountered the Titan Atlas, who challenged him. In their confrontation, Perseus used Medusa’s head to turn the Titan into stone. Later on, he came across the beautiful chained Andromeda, and as he did, he approached Cetus while being invisible (because he was wearing Hades’s helm, which had that power). He promptly killed the sea monster Cetus. 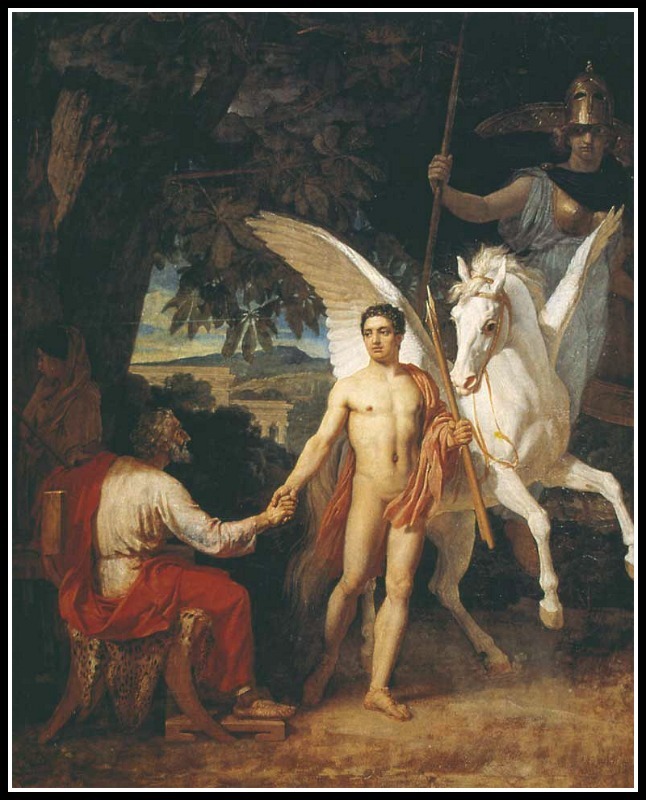 Perseus took Andromeda to her father Cepheus and asked for her hand in marriage. That infuriated Andromeda’s uncle Phineus, to whom the maiden was already promised. During the ensuing quarrel, Perseus turned Phineus into a stone by showing him the head of the Gorgon Medusa. 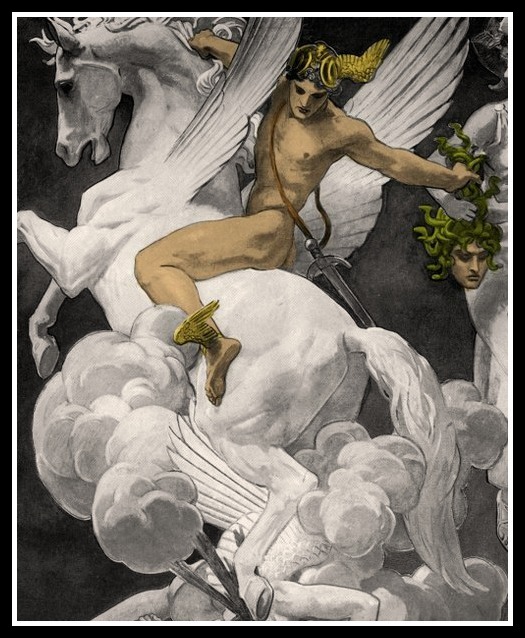 Grateful for all his victories, Perseus gave his flying sandal, mirror and magical cap to god Hermes. He also gave his great trophy, the head of Medusa, to goddess Athena. 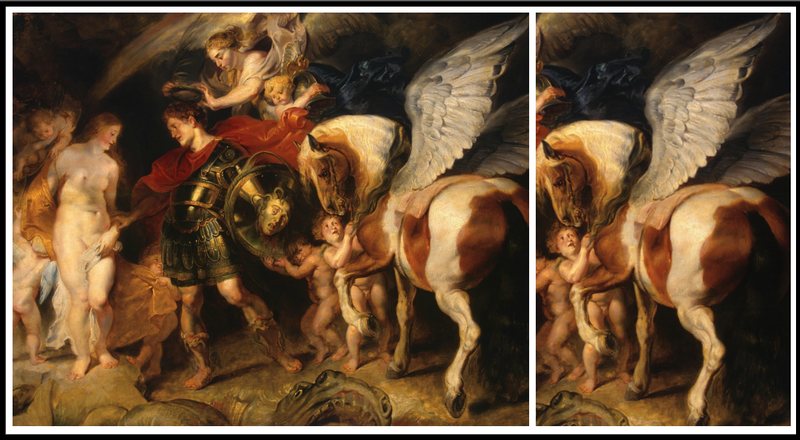 Perseus and Andromeda finally married and had seven sons, as well as two daughters. After the death of King Acrisius, the Kingdom of Argos naturally passed on to Perseus, who thought himself unworthy of it, since he had caused his grandfather’s death, even by accident, while throwing the discus in a sport competition. As to Andromeda, when she died, Athena placed her on the sky as a constellation, nearby her beloved husband Perseus and her mother Cassiopeia. Located north of the celestial equator, the Andromeda constellation is most prominent during autumn evenings in the Northern Hemisphere, along with several other constellations named for characters in the Perseus myth. Because of its northern declination, Andromeda is visible only north of 40° south latitude. 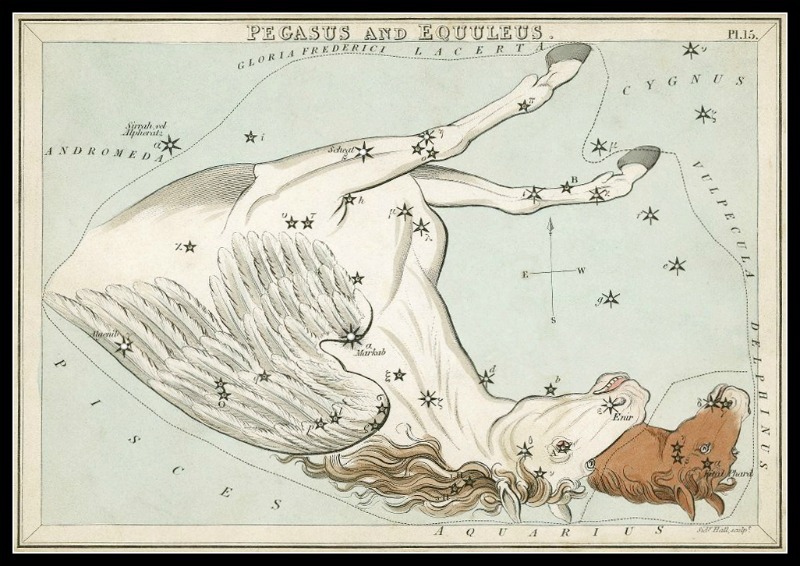 Its brightest star, Alpha Andromedae, is a binary star that has also been counted as a part of Pegasus. On the Left: Johannes Hevelius’s depiction of Andromeda, from the 1690 edition of his Uranographia. 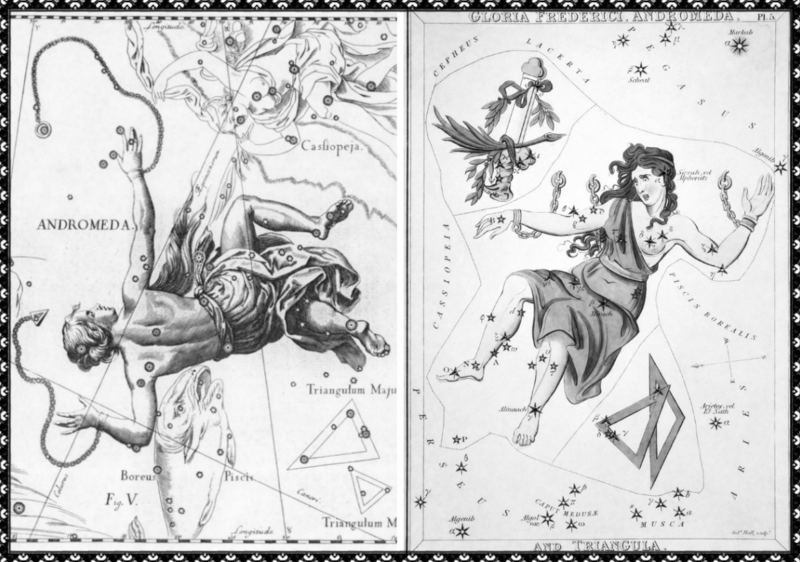 On the Right: Andromeda as depicted in Urania’s Mirror, a set of constellation cards published in London, in 1825. “Perseus and Andromeda” by Giorgio Vasari,. 1570. “Perseus freeing Andromeda” by Emile Bin. 1865. “Perseus and Andromeda” by Georges Antoine Rochegrosse. 20th century. “Andromeda Chained to the Rock by the Nereids” by Théodore Chassériau. 1840. “Perseus and Andromeda” by Giuseppe Cesari. 17 century. “Andromeda’s parents thank Perseus for freeing her” by Pierre Mignard. 1679. “Perseus and Andromeda” by Frederic Leighton. 1890. “Perseus and Andromeda” by Titian. 1559. “Perseus and Andromeda” by Anton Raphael Mengs. 1776. “Andromeda Chained to a Rock” by Henry-Pierre Picou. 1874. “Perseus Rescuing Andromeda” by Paolo Veronese. 1578. 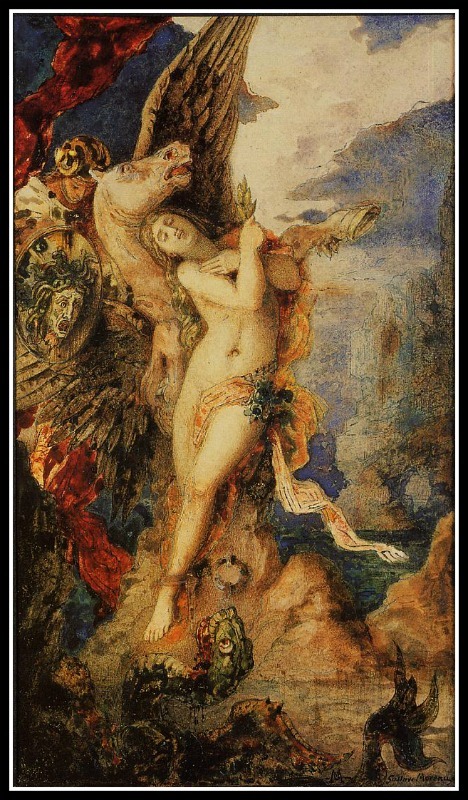 “Perseus and Andromeda” by Gustave Moreau. 19th century. 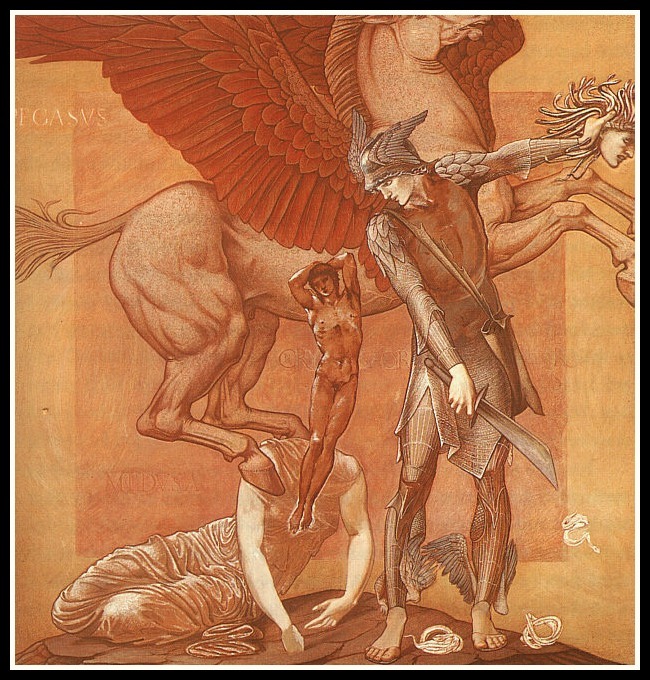 “The Doom Fulfilled” by Edward Burne Jones. 1888. “Perseus and Andromeda” by Louis Matout. 19th century. “Perseus and Andromeda” by Donato Creti. 1711. “Perseus and Andromeda” by Charles Napier Kennedy. 1890. Keats compares poetry to a foot and the sonnet form to a sandal. A sandal is a shoe that does not fully cover the foot. By suggesting that the sandals should be more interwoven, it is as if he is saying the sonnet form does not fully cover what poetry is. The poet offers this interweaving as a solution to what Keats in his letters calls “pounding rhymes”. He wants rhyme to be more subtle and intricate, complementing the content of the poem as a whole and not drawing attention to itself. 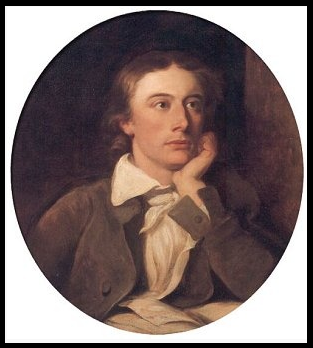 Keats believes that if poets follow the specific rhyme scheme of a sonnet, they will be “chained” and not express themselves fully. He says that poets be “Misers” of “syllable” like King Midas was of gold… he states that they should be “jealous of dead leaves in the bay wreath crown” (as laurel crowns were an emblem of poetic achievement). Nevertheless, in the last two verses, Keats says: “if we may not let the Muse be free,/She will be bound with garlands of her own”. And by that he seems to have resigned himself to the fact that for poets are constrained, at least to some extent, by conventional forms. (Source:Brian Register). Within this rhyme scheme the lines are still written in Iambic Pentameter (*), and the type of sonnet he chose here is known as Petrarchan Sonnet (**). With these means, Keats indicates that he remains within conventions even if he questions them. Maybe the ending verses are not just a way to ease up his critique, or just a withdrawal but maybe an opportunity to validate and recognize the merits of the classic poetic form he had chosen to criticize. (*) Iambic Pentameter is closely associated with Blank Verse, Iambic is an adjective. Iamb is the noun and is short for Iambus. Iambus is from the Greek and refers to two. Therefore, Iamb refers to a foot, or any two syllable“unit”, referred to as a foot by metrists, consisting of an unstressed syllable followed by a stressed syllable (or ictus). (**) The Petrarchan Sonnet is named after Petrarch, a 14th century Italian poet who made the form popular throughout Europe. Like all sonnets, the Petrarchan sonnet has 14 lines. 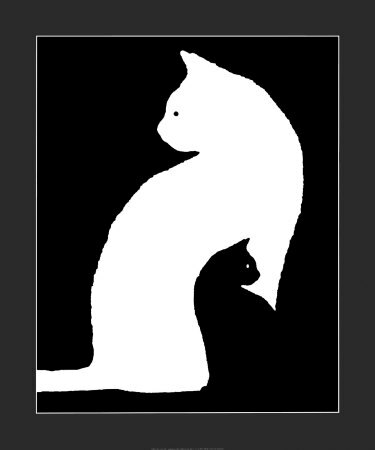 Do you follow Holly´s blog?… Make sure to check it out… ‼️😽 She is a wonderful poet and great, active blogger. I think I lacked of technical skills… I am not sure if WordPress was so easy to manage or if It was just me… But anyhow, the main purposes were accomplished by then. Follow along a good amount of blogs… Create an email list with the URLS of the blogs you follow. Leave likes and comments, and you will soon identify bloggers who are reciprocal with you… Cut down your list of bloggers, using the previous criteria. Repeat the same steps for new lists, as many times as you want. The number of posts you publish is not directly related to the level of engagement of your followers. It is up to you to find your Golden Mean, so to speak… And that would depend in many circumstances, which might vary according to each one of us. •What would be your dream campaign?. 🔛I will tie in this question to my blogging motto. Which would be this aphorism by Hippocrates: Ars longa vita brevis, i.e Art is long, life is short. Life is rather ephemeral… and there are many things to learn. 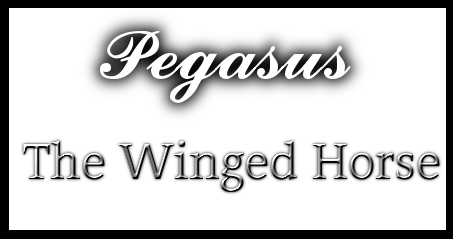 My aim is to try to approach the classics and particularly Greek Mythology in a quite cohesive way as I believe that many cultural legacies remain there. •Do you have a plan for your blog?.🔛I plan to keep it up and also would love to dig more deeply into symbolisms of certain myths. And even to consider psychoanalytic, sociological and cultural approaches from a diachronic point of view. •What do you think about rankings?. 🔛I think there might be valuable if you are planning to upgrade your blog or already did so… Otherwise, numbers of visitors could be considered, not only as a reflection of your level of commitment, but also as a sample of the most appealing topics among your readers. 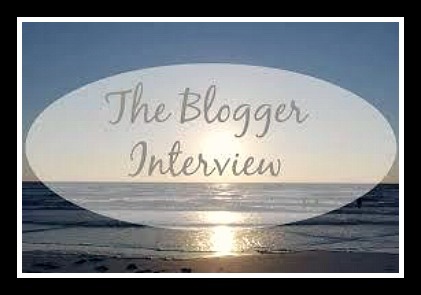 💥I ´d love to invite these bloggers for The Blogger Interview. Join only if you want or have time: 1. Shehanne Moore 2. The Mockingbird in Me 3. Scattered Thoughts 4. Inesemjphotography 5. Faraday´s Candle 6. Johanna Massey 7. Travels with Choppy. 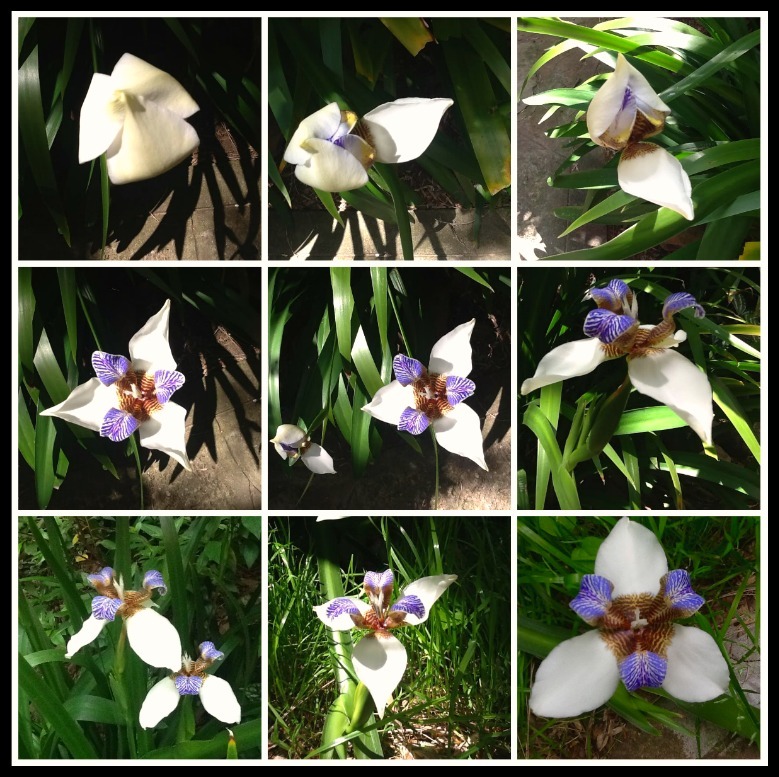 So called Wild Orchids blooming. Photographs taken on October 23rd, 2015. ©Amalia Pedemonte.